What are Delaware Down Payment Assistance Programs? When it comes to suggested down payments for your new home, it’s mistakenly thought that 20% minimum should be put down. Many Delaware first time home buyers look at this number and give up their home search. Thankfully, there are options for financing your closing costs that are easy and available if you meet the qualifications. Delaware Down Payment Assistance Programs cover a variety of credit types and buyer situations. The variety of Delaware Down Payment Assistance Programs available to help home buyers navigate the financial burden of closing and down payments are worth looking into if a lack of funds put you off of your home buying journey. Whether you’re a First Time Home Buyer or looking for help with a down payment on your second or third time buying a home, there is a program that can help you cover the costs. If you have been holding off on buying a home because of struggles with down payment or closing costs, contact the John Thomas team at 302-703-0727 or APPLY ONLINE for more information. We can get you in a home. The state of Delaware provides down payment assistance money for its residents who are first time home buyers and even move up buyers who need help with the down payment and closing costs. Since it’s money in the form of state grants, it’s free money that you shouldn’t overlook. The Delaware Down Payment grant awards can be in the thousands of dollars. 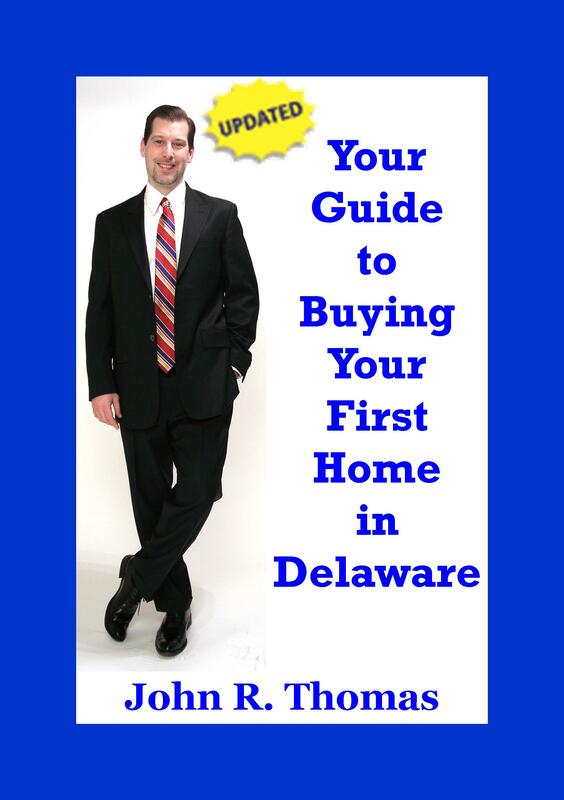 It will be well worth your time to educate yourself about the first time home buyer and closing cost programs the State of Delaware provides. Does My Credit Score Matter When Applying for a Delaware Down Payment Assistance Program? While it’s true that stipulations apply, there are a number of different Delaware Down Payment Assistance Programs available. This makes it easier to find something that will work for you, even as a First Time Home Buyer or someone going after a second mortgage loan. For instance, while the SMAL program doesn’t require immediate payback (you have to pay the loan back eventually but not at a set date), it has a minimum 640 credit score and must be used with a Conventional, FHA or USDA Rural loan. Some down payment assistance programs in Delaware will require you to take a First Time Home Buyers Class. Your overall need for down payment and closing costs will depend on your loan. For example, Delaware Conventional Home Loans require an investment from the homeowner of between 3% and 20% of the sales price towards the down payment and closing costs. That means a $100,000 price tag will mean the mortgage applicant must invest at least $3,000 – $20,000 to meet Delaware Conventional Loan down payment requirements, depending on the program. If you are putting down anything less than 20% of the purchase price then you will be required to pay for a Private Mortgage Insurance (PMI) to protect the lender in case you default on the loan. The PMI rate depends on the credit score and the down payment. So higher credit scores equal lower PMI and higher down payments equal lower PMI. Thankfully, there are programs that can help a variety of first time home buyers afford down payment and closing costs in Delaware. What are My Options for Delaware Down Payment Assistance Programs? Delaware First Time Home Buyers are required to complete 8 hours of HUD approved home buyer counseling with a HUD approved counseling agency by attending a Delaware First Time Home Buyer Seminar. Which Down Payment Assistance Program I Should Use? If you’re ready to get started with a Delaware Down Payment Assistance Program, or just need help figuring out which one fits your needs, we can get you started. Call the John Thomas Team today at 302-703-0727 or APPLY ONLINE for more information.